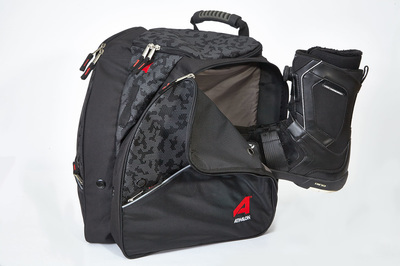 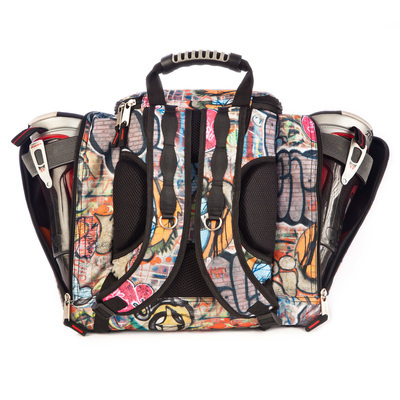 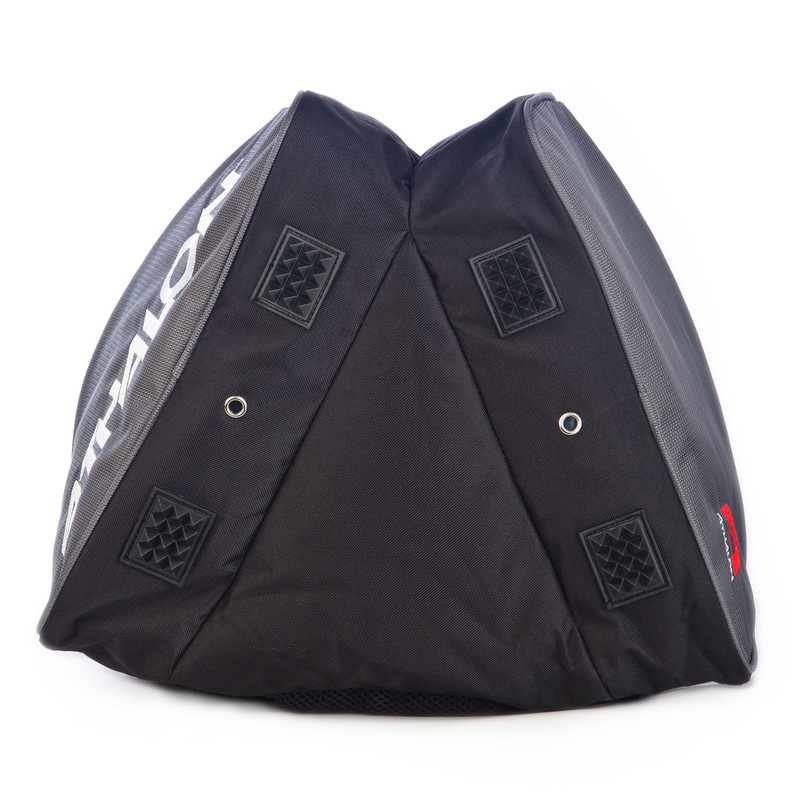 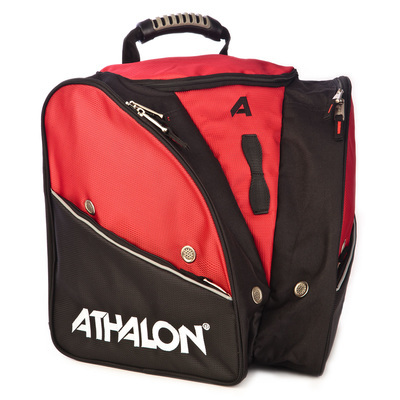 Kids can carry their boots to and from the mountain inside this sporty boot bag from Athalon. 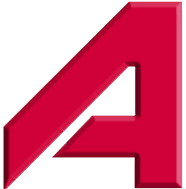 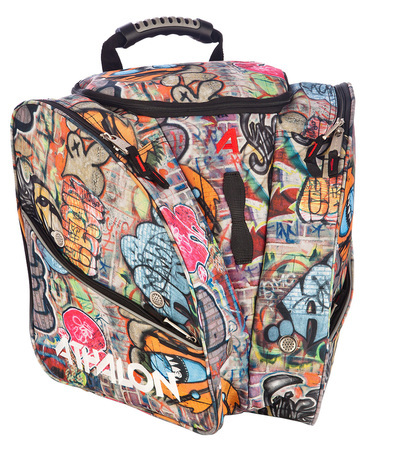 The Athalon Tri-Athalon Kids Boot Bag is made from durable polyester fabric and features a lightweight and strong design with two separate ventilated side entry compartments to hold boots. 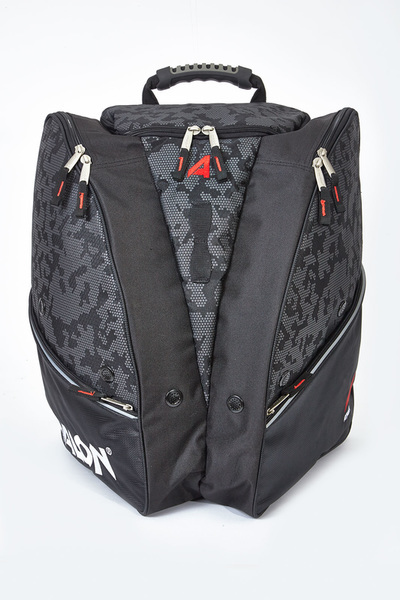 Large pockets on the sides offer storage for added gear while a center compartment provides a place to stash a helmet or a jacket. 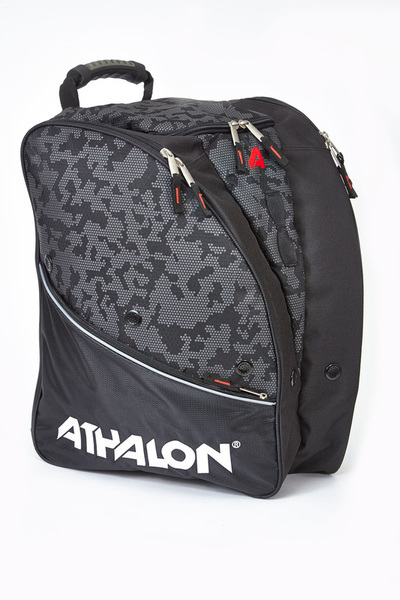 Other features of this boot bag include an organizer for small accessories, a daisy chain to attach other gear, reflective piping for better visibility, and padded backpack straps that make it comfortable to carry. 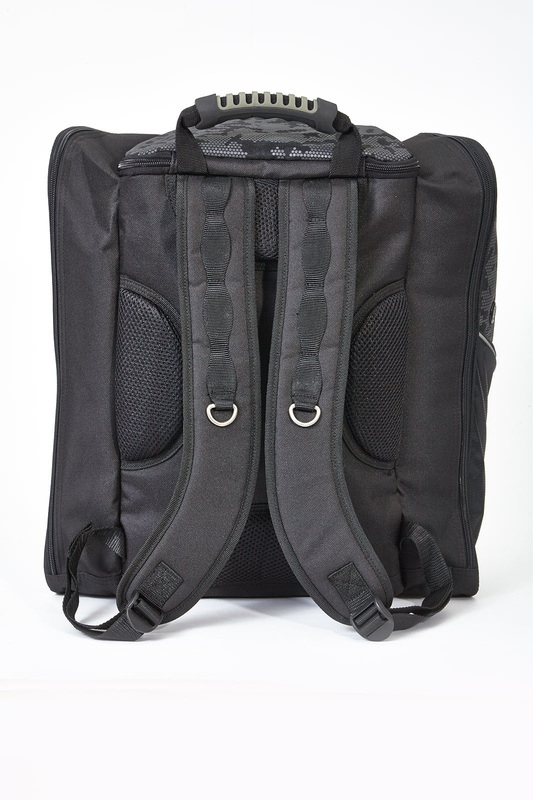 Front daisy chan to attach carabineers, keys, etc.